The wonder of winter mated with the splendor of the Holidays make this Combo a very special addition to any Holiday decorating! 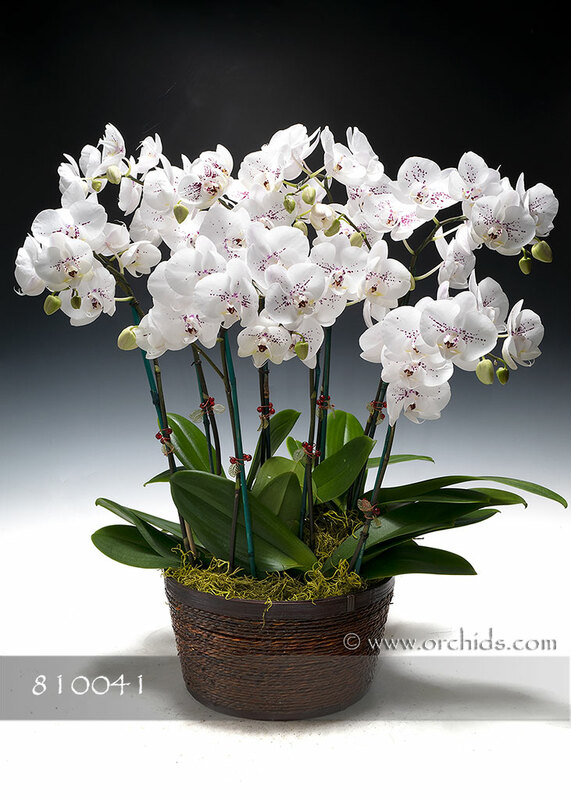 Our designers will select our most floriferous Phalaenopsis, reflecting the newest in cutting-edge harlequin breeding, for this spectacular Gift Arrangement. Artistically arranged for its perfection of presentation in our modern cachepot, it will be enhanced with the special added touch of “snow-kissed” faux vines and berries. Standing 32” in height, this Winter Wonderland will be lovingly finished with a soft bed of jade Spanish moss.